OnePlus 3T smartphone is now officially announced. OnePlus 3T is powered by Qualcomm’s Snapdragon 821, 6GB RAM and 64GB/128GB storage options. The phone features a 16MP rear camera with sapphire crystal cover added for improved scratch protection. The OnePlus 3T comes with a 16 MP Samsung-made front facing snapper with f/2.0, pixel size 1.0 nm. The selfie camera has a phase detection autofocus and support for capturing 1080p video at 30fps. The phone also includes 3,400 mAh battery. The 20W OnePlus Dash Charge is supported. The phone will come with Android Marshmallow. The OnePlus 3 will be launched in silver. The smartphone will come out in “Gunmetal” and “Soft Gold” on November 22 in North America and November 28 in other territories. You can buy the latest smartphone directly from the OnePlus online store. 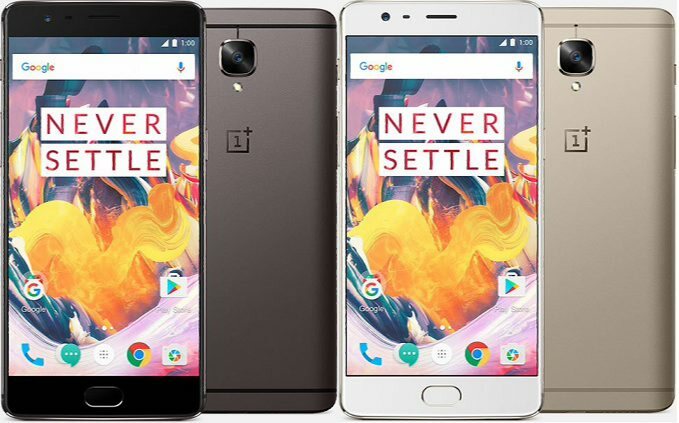 OnePlus 3T 64GB Model will start from $439 and The 128GB variant will go for $479. In the EU the prices will be €439 and €479, respectively.